Gangchuang Hebei Mechanical Equipment Technology Co., Ltd. Buyer should provide serial number and photos of defective machines, but buyer should pay the shipment charges and return us the broken parts. Refund: If you reported problem to us in one week on arrival of machines, we accept the refund, but we only refund you the payment after receiving the returned goods. 4. 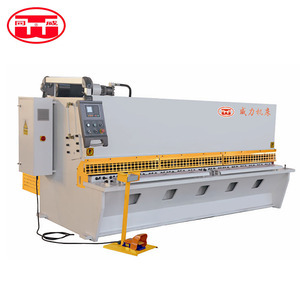 How to support you when you purchase our machine in first time9 When you meet the problem of our machine under the situation that you are not familiar with our machines. 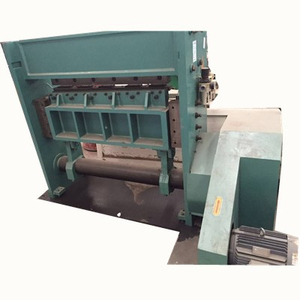 Jiangsu PLSON Metalforming Equipment Co., Ltd.
2. Our factory can send our engineer to the customer&rsquo;s factory install, commission and training freely . 2.Our factory can send our engineer to the customer&rsquo;s factory install, commission and training freely . The customer provide the double trip tickets, food and accommodation for our engineer. Nantong Super Machinery Co., Ltd. The remote adjustment valve can adjust the working pressure at the right side of the wall board. 13.The parallelism of the sheet to be cut off and the precision of the shear size can be ensured. 18. Shearing angle is Variable, which can reduce the shearing deformation of sheet metal and can shear much thicker sheet metal. 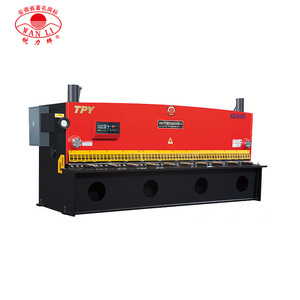 Easy run Q11K series hydraulic guillotine iron plate cutting machine /small metal sheet shearing machine. If container is too tigher,we will use pe film for packing or pack it according to customers special request. If container is too tigher,we will use pe film for packing or pack it according to customers special request. 3. Adopt integrated hydraulic system, more reliable and easy for maintenance. 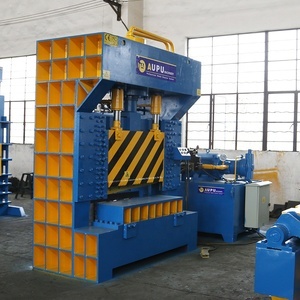 We run the machine for a few days, and then use customer's materials for test. 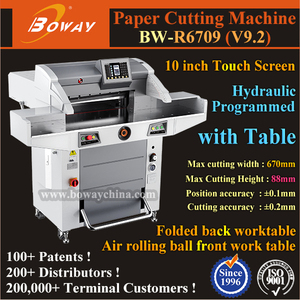 After making sure machine is the best performance, then make shipments. 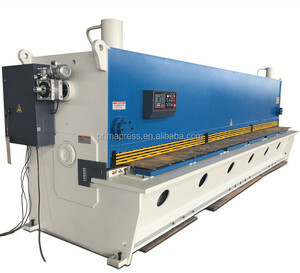 Alibaba.com offers 15,270 hydraulic guillotine cutting machine products. About 8% of these are paper processing machinery, 1% are other metal & metallurgy machinery. 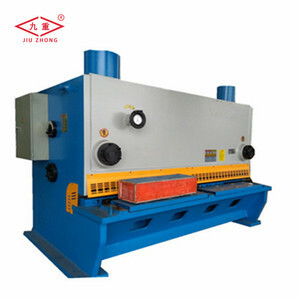 A wide variety of hydraulic guillotine cutting machine options are available to you, such as free samples, paid samples. 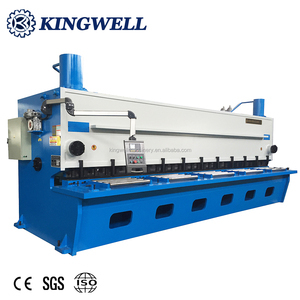 There are 15,198 hydraulic guillotine cutting machine suppliers, mainly located in Asia. 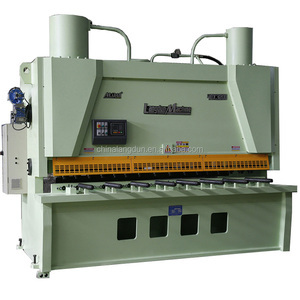 The top supplying countries are China (Mainland), India, and Turkey, which supply 99%, 1%, and 1% of hydraulic guillotine cutting machine respectively. 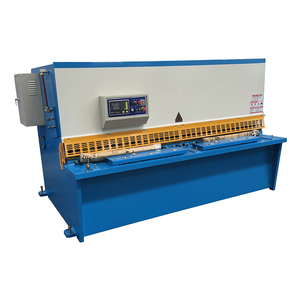 Hydraulic guillotine cutting machine products are most popular in South America, Southeast Asia, and Mid East. You can ensure product safety by selecting from certified suppliers, including 4,770 with ISO9001, 1,382 with Other, and 273 with FSC certification.